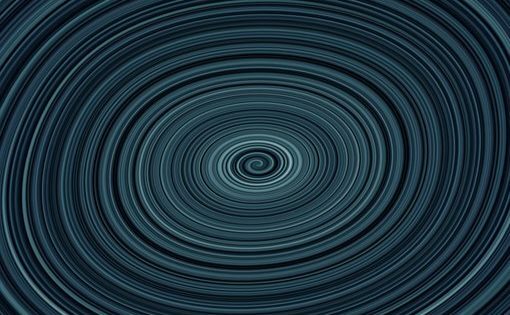 What is stage hypnosis, really, and how does it relate to therapeutic hypnosis? Are the volunteers real, or just stooges the hypnotist hires to pretend? Do you completely lose control of yourself in hypnosis? Can I be hypnotized like the people on the stage? Aren’t the people onstage totally embarrassed with what they are doing? If hypnosis can do all of this, how can I use hypnosis in my daily life? Stage hypnosis is a fun and lively way to introduce people to the power of hypnosis and the power of their own minds. Hypnosis stage show are rather like the “Mr. Wizard” shows I saw as a kid on TV. The show’s host would use scientific principles to create fun and fantastic effects. The result: people became interested in science. Countless hypnotherapists got their start from seeing a stage hypnosis show Tens of thousands of ordinary people seeing a hypnosis show have then used hypnosis to improve their lives in many, many ways in a clinical setting. So, exactly how are stage hypnosis and clinical hypnosis connected? The essential connection is that both create hypnotic phenomena–in stage hypnosis, the phenomena are used for entertainment purposes, in clinical work, the phenomena are used to help people with their lives. Perhaps you have seen a common skit where the hypnotists suggests that a subject forgets the number 5, and then runs a skit: how many fingers do you have….six…have you always had six fingers? In a clinical setting the same effect can be used to help someone stop smoking: whenever those occasions arise where you used to smoke, you will simply forget! Or perhaps you’ve seen a skit where things smell really bad or really good–now imagine that every time you moved a cigarette to your mouth, it smelled really bad. Would you keep on smoking? No. You see, exactly the same hypnotic effects can be used for entertainment as well as therapy. Just like the “Mr. Wizard” of my youth. It’s science and entertainment. Hypnosis shows really demonstrate the power of our own minds to create our own reality. When you go to a stage show, you see how fast and how deeply into trance a skilled hypnotist can take someone even under conditions far less than optimal. It really shows how easy and commonplace it is to go into an hypnotic trance for everyone. If the hypnotist spent a few more minutes with those who didn’t go immediately into trance, they would all go. But it’s a show, and the show has to move on quickly. Sometimes people ask me if the people on stage are embarrassed by what the did. The usual answer is a clear “no.” You see, the only ones onstage are the ones who volunteered to be a part of the show. They want to be the star of the show! And they are. It’s usually an opportunity for people to relax and enjoy themselves in ways they have never done before. Stage hypnosis provides a fascinating look into how the human mind works and how it can accept suggestions. As you watch your next show (either live or on YouTube), this about all the ways you could use this to improve your own life. And when your read, be sure to get my free training manual on self-hypnosis here.